WORN Fashion Journal was a print magazine founded by Serah-Marie McMahon and first published in Montreal, Canada in 2004. 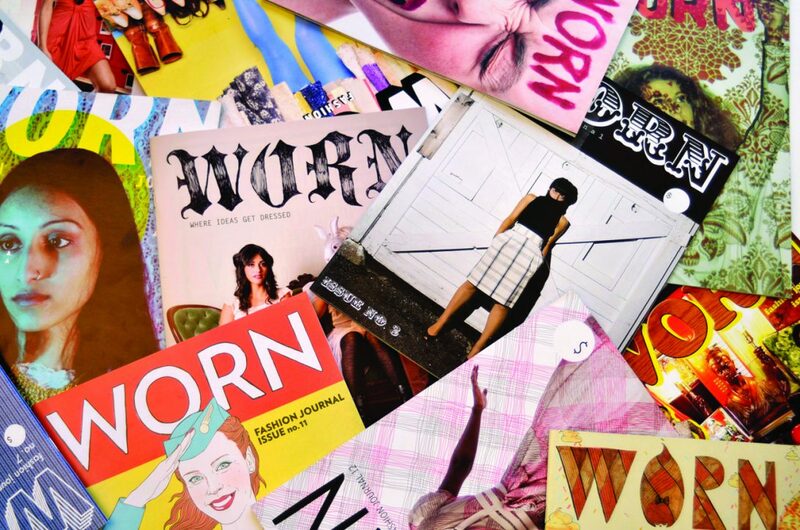 WORN was created to address the lack of thoughtfulness in mainstream fashion magazines. It claimed that you could truly love clothing even if you were disinterested in the commercial industry of “fashion”. Over the years it covered topics such as the science of drycleaning, the role clothing plays in creating identity in the trans community, the evolution of flight attendant uniforms, and the celebration of stylin’ moms. In May of 2014, Drawn & Quarterly published a compilation of the best from our first 14 issues, called The WORN Archive: A Fashion Journal About the Art, Ideas, and History of What We Wear. After 10 years and 20 issues, WORN Fashion Journal published its last issue in December of 2014. You can buy many WORN Fashion Journal issues from our Etsy store The House of WORN and at Type Books in Toronto, Ontario. You can order The WORN Archive (ISBN 9781770461505) from Drawn & Quarterly, or ask for it at your local independent bookstore. You can get it on Amazon too, but the other options are so much nicer.